I wonder if you, like me, watched last year's television coverage of Andy Murray helping Great Britain to win the Davis Cup. It was a truly proud moment for Britain. Andy’s return of serve made me think of a critical point in the screening pathway – when patients are referred. When you refer a patient to another service, such as audiology or hepatology, your responsibility does not end until you are assured the referral has been received. It's a bit like tennis: there’s not much point in playing if there’s no one on the other side of the net to return the ball. Similarly, you need to make sure the referral centre receives and accepts your referral. In addition, you should monitor the outcome of all your referrals in order to show how well the screening programme is working. How does this work in the NHS Abdominal Aortic Aneurysm (AAA) Screening Programme? 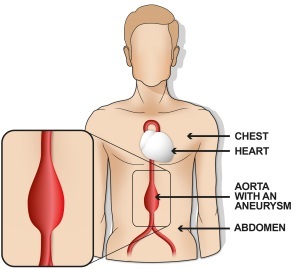 Men found to have a large aneurysm (5.5cm or wider) are referred to vascular services for surgery. In most cases the local screening programme and the vascular service are in the same NHS trust. But sometimes the case is complex and the man may need referral to a vascular service in another organisation. This is a bit like tennis doubles – it's more complicated and you need to pay extra attention. 4. Mr. Jones does not receive an appointment to see the vascular surgeon. There is a risk of rupture and death in patients who have large aneurysms that are left untreated. Trust A believes it has made the referral and Trust B is unclear that the referral requires further action, so no action is taken.